Mr. Narendra Singh, is the founder of the Center for Urban Research established with the aim of being the beacon of urban development in the current urban scenario. Mr. Singh intends to make his mark in the contemporary Real Estate Market with the help of his sharp analytical prowess and aptitude honed with years of experience in the field. Since childhood Mr. Singh has shown great promise in academics and has displayed prominent leadership qualities all along be it in school, Bachelor of Arts(Public Administration) at Rajasthan University, Bachelor of Law(LLB) at Rajasthan University or the Rajasthan Administrative Services Examination; he has always been a top ranker. 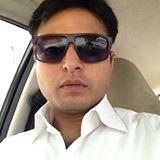 Mr. Singh was the youngest officer at the time of selection in Rajasthan Administrative Services. He also has the privilege of becoming youngest ever voluntarily retired officer in the Rajasthan. He took voluntary retirement in July 2013 at the age 38 years, with almost 16 years of civil service experience, most of which has devoted to urban development. He worked in the capacity of a Deputy Commissioner in Jaipur Development Authority for six years, Assistant Director for urban local Bodies-Jaipur for a year. 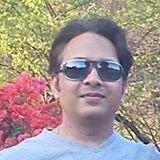 He also worked as Assistant Collector Jaipur, Sub Divisional Magistrate(S.D.O.) Jaipur and Sri Ganganagar, Project officer T.A.D(Tribal Area Development), Deputy Secretary to Government in Administrative Reform Department and Secretary Jaipur Discom (Jaipur Vidyut Vitran Nigam Limited). Ms. Apala Misra is an Urban Planner by profession and a Social Worker at heart.Educated in All Siants College, Nanital, La Martiniere Girls' College, Lucknow and Central Hindu Girl's School, Varanasi, she has been instilled with a liberal attitude and the courage to voice her opinion on matters that affect the society at large. Graduate from School of Planning and Architecture, New Delhi. 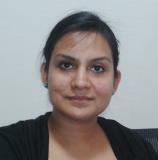 Ms Misra was an active member of the Public Agency pertaining to planning in Jaipur Development Authority. She has been associated and involved with various Urban Planning, Rural Planning and Land Acquisition Projects.Currently she is one of the Directors of the Phoenix Planning Studioz, A private planning consultancy firm promoting and propagating sustainable planning solutions. Mr. Santosh Singh is a town planner by profession and has experience of working on major logistics projects, city development plans, master plans and land acquisition projects in capacities varying from consultant to goverment employee. He has also been involved in major transportation projects of Jaipur, Rajasthan, Gujarat and Maharasthra . •	Area appreciation in the aspect of housing for a Sub Zone in Delhi, India. •	Transport planning parking, spot speed, journey speed, public transport, traffic volume exercises in Sub Zone of Delhi, India. •	Site Planning of 10ha area in Sector 24, Dwarka, Delhi, India. •	Zonal Development Plan for a Zone with an area of 15,178 ha in Delhi, India. •	Preparation of Master Plan for Amritsar city in Punjab, India. •	District Development Plan for Cuttack district in Odisha, India . •	Thesis Project on Impact of Green Infrastructure on Quality of Life The objective of the study is to highlight the role of ecosystem services provided by the green infrastructure in improving the quality of life in the city. Simply, provision of green space is not adequate for improving quality of life unless it is linked to ecosystem services. The study explores the link of green infrastructure and its impact on quality of life. • Secondary data collection, analysis and preparation of draft reports for ten towns in Bihar, India. • Preparation of Master Plan for Roorkee Regulated Area -2035, India. •	Development of Real Estate Project and Resort. 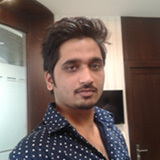 Mr. Aditya Milan is a software expert and owner of the milansoft . Milansoft has been providing software services for its customers across the globe for more then last 8 years . Over this time, our developers have gained strong experience in handling all major programming languages and technologies. We are committed to provide our customers with affordable, high quality c/c++ , Java (J2ME), VB.Net, PHP, ASP development services as well as Unix/ Linux/ OpenBSD, Web and database solutions. Work Profile: Ajay Agarwal is an entrepreneur, started his career in 1985 as a Rajasthan Distributor for Reliance Industries. Currently, he is owner of Rajasthan’s Top Agency ‘Arch Promotions & Services’ specialized in Events & Outdoor Advertising. Also involved in Electronics & Real Estate Sector. Ajay Agarwal is a widely known professional in the Advertising, Event & Media as well as in Real Estate sector and has been invited as a guest & dignitary at several events. 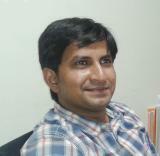 He has 15 years of senior level experience in the implementation & strategic planning. His astuteness and strategy has been the pillar in success of the organization. • Chairman of Event & Brand Committee in Federation of Rajasthan Trade & Industry (FORTI). • Vice President of M.I. Road Vyapar Mandal, Jaipur. • District Chairman of Lions Clubs International (District 323 E-1). • Additional General Secretary,Vaish Federation Jaipur. • Secretary of Sankalp Shiksha Samiti, Rajasthan. Girish Sharma practicing Architect- Town planner is the Director at ‘Lavanya’ and has a vast experience of designing and delivering wide array of architectural & Planning projects for the past 20 years. He is an Architect (Shivaji University, Kolhapur secured 1ST position in university merit list) and City Planner (School of Planning and Architecture, N. Delhi) with specialization in Urban Planning with distinction. Ar. Girish Sharma served in Avas Vikas Sansthan (A registered society of Rajasthan Housing Board) as Dy. Director (Planning) from year 1992 to year 2000. The Main focus of the Organization was to construct housing units and other buildings using cost effective techniques. As Dy. Director (planning) his job was to strike a fine balance between Architectural concepts and Techno-Material constraints. Ar. 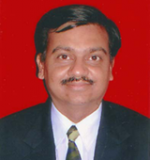 Girish Sharma also served as Assistant Town Planner, Jaipur Development Authority from year 2000 to year 2005. He was posted in zone 9, which includes area from Delhi Road, Agra Road to Tonk Road. Ar. Girish Sharma resigned from service in March 2005 to set up independent Urban Planning, Architectural & Interior Design firm-“LAVANYA’’ at Jaipur. Since then he has gained multidimensional experience of working on Master Plans, Village Development Plans, Housing schemes, Low income Townships , Mass housing projects, Infrastructure Planning, Institutional and Healthcare Planning, Prefab Technology etc. He is a life member of Institute of Town Planners (India) and Institute of Indian Interior Designers. He is also fellow member of The Institution of Valuers (India).